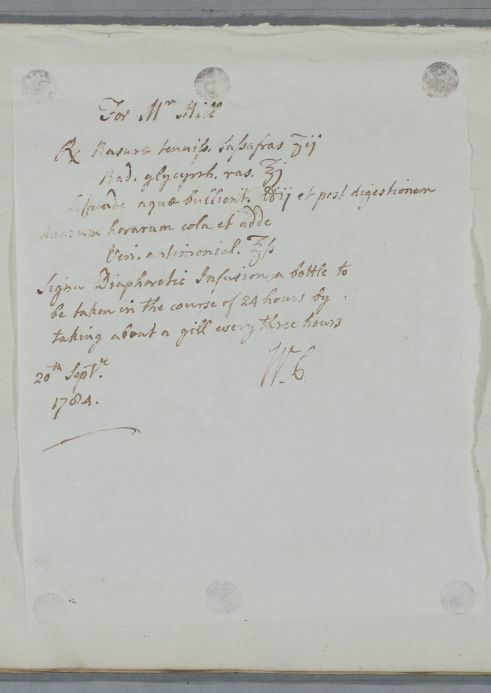 Reply to Dr Hunter concerning the case of Mr Mill of Montrose: 'I was in a hurry when I wrote you last and have been so ever since but in the mean time I have given Mr Bennet a Prescription for a new Ointment'. He provides a prescription for an infusion which the patient is to take while the new ointment is being used. 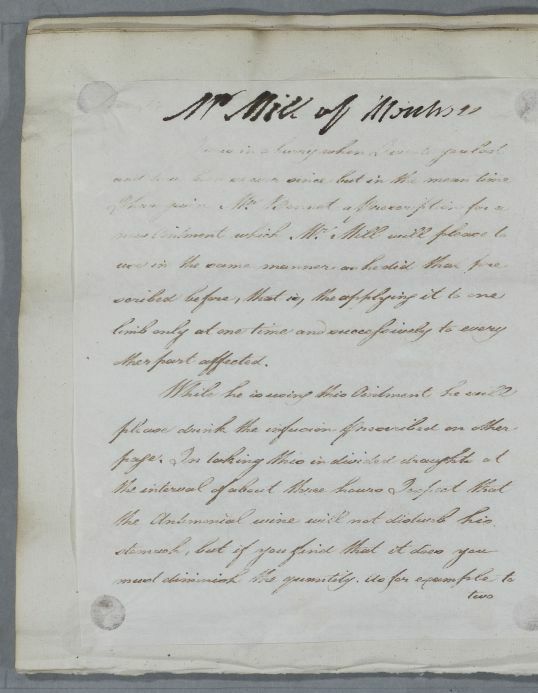 Summary Reply to Dr Hunter concerning the case of Mr Mill of Montrose: 'I was in a hurry when I wrote you last and have been so ever since but in the mean time I have given Mr Bennet a Prescription for a new Ointment'. He provides a prescription for an infusion which the patient is to take while the new ointment is being used. 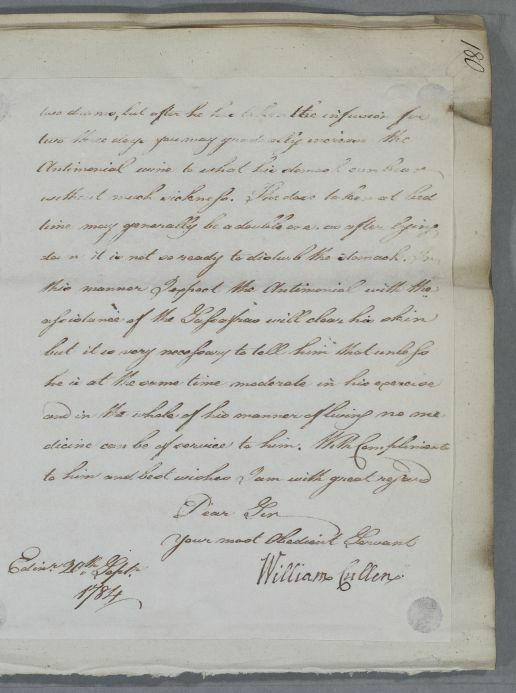 Case of Mr George Mill (Milne and Milnes) who is given a detailed regimen and advised to take an aperient for what might be a skin condition which Cullen thinks may be hereditary.